A complete Bali waterfall guide where I've written down the locations of the most amazing waterfalls in Bali and how to get there! 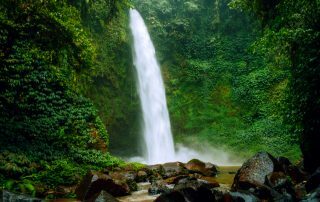 Want to visit Tegenungan Waterfall in Bali? 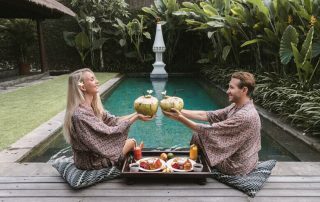 It's located close to Ubud, and here's a complete guide on how to get there, entrance fee and useful info! 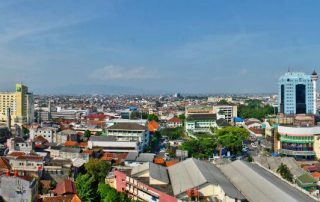 Bandung is the third largest country by population in Indonesia and a destination on the uprise. Here's a list of the top things to do in Bandung! Indonesia is one of my favorite countries. It's an affordable destination where you get to experience culture, cheap and great food & super friendly locals! Here's a list of 7 reasons to Indonesia. 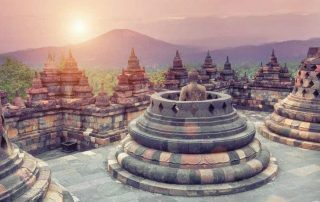 Yogyakarta is one of my favorite destinations in Asia, and with super friendly locals, cool temples, street food and beautiful nature there are always lots of things to do in Yogyakarta.